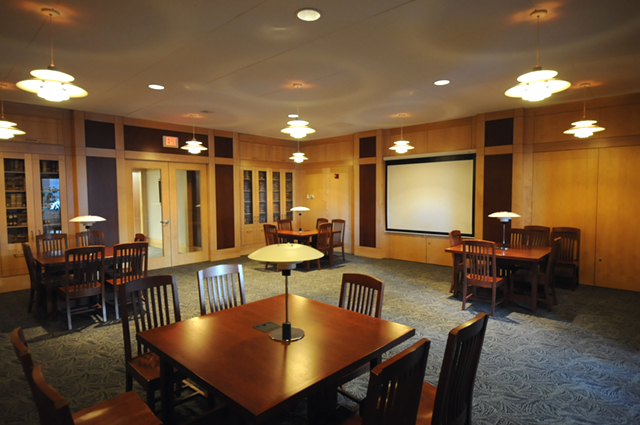 Would you like the convenience of using the State Law Library later in the evening or on weekends? If so, subscribe now to our After Hours Service. If you are already a subscriber, now is the time to renew for 2012. 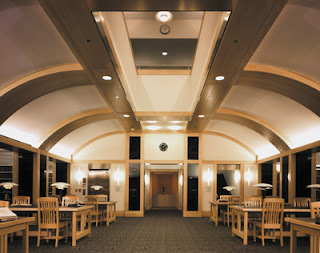 A calendar-year subscription includes access to the library from 5 p.m. to 10 p.m. Monday through Friday, and 8 a.m. to 6 p.m. Saturdays and Sundays, and a key fob for convenient entry into the building. New subscribers will gain access from the time they subscribe to the end of the 2012 calendar year. See our After Hours page for more details, or download a first-time subscription or renewal form now. The Wisconsin State Law Library, Milwaukee Legal Resource Center, and Dane County Legal Resource Center will be closed on Thursday, November 24th for a state holiday. WSLL and MLRC will be open the next day on Friday, November 25th; DCLRC will be closed until the following Monday. To submit a question to the Wisconsin State Law Library while we are closed, you may call us at 608-267-9696 or Ask a Librarian online. We will respond to questions and requests on Friday, November 25th. Many legal practitioners recognize the name National Business Institute (NBI), a leading provider of legal and professional education not only in Wisconsin but throughout the U.S. Founded in 1983 and based in Eau Claire, Wisconsin, NBI has served over 2 million professionals through training seminars presented in live, audio, teleconference, webcast, and online on-demand formats. Each NBI legal training program is developed and taught by practicing professionals and includes course materials prepared by those same professionals. 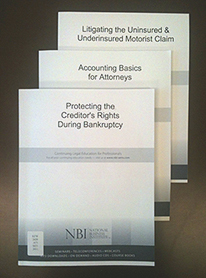 NBI provides them as downloadable PDFs, CD-ROMs, or printed publications. Sometimes the material consists of only an annotated outline, but often it's a complete narrative accompanied by excerpts from applicable statutes and court opinions. The addition of sample forms, letters and checklists gives the reader useful, practical knowledge in a particular type of case or area of the law. NBI materials have been part of the WSLL collection for many years. Since 2006 we've purchased 20 to 25 new NBI titles every year through a standing order arrangement with the publisher. A search of the online catalog retrieves nearly 200 NBI titles, all of which may be borrowed by WSLL cardholders. The November issue of WSLL @ Your Service has been published. 1836 - 2011: Celebrating Our History: Play WSLL Trivia!